My chosen field of design is digital graphic design with a focus on animating digital elements. I am always open to new media and ideas. Creating identities for brands is something that has always peaked my interest and motivation. I have a strong passion for novels and storytelling and I hope to write my own novel(s) in due time. Due to this, book design and typography is an area that I am becoming increasingly interested in. 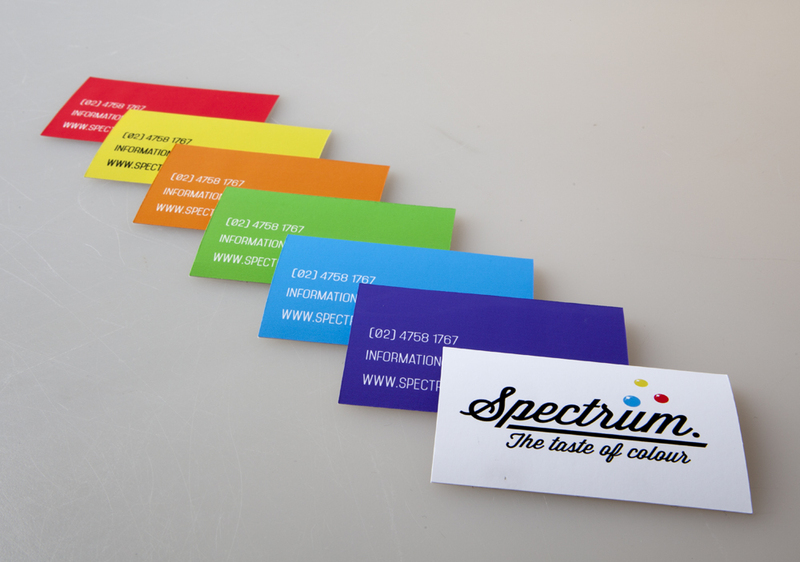 Where am I heading from here as a graduate of visual communication design? I want to work in the field and begin work on some of my own self-directed ideas. Where is the most unusual place I have worked? That would have to be on top of a basketball hoop. Whilst playing one day I just sat up there and started drawing. 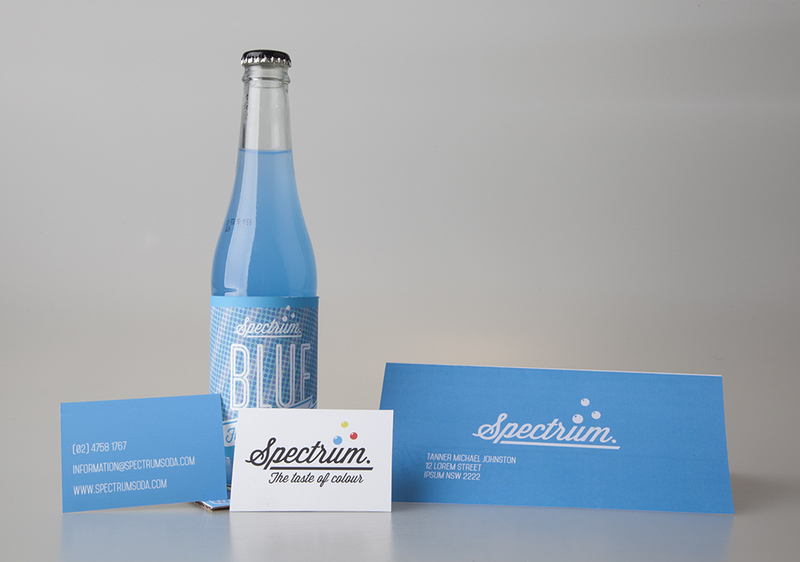 Spectrum soda is a hypothetical soda branding project. 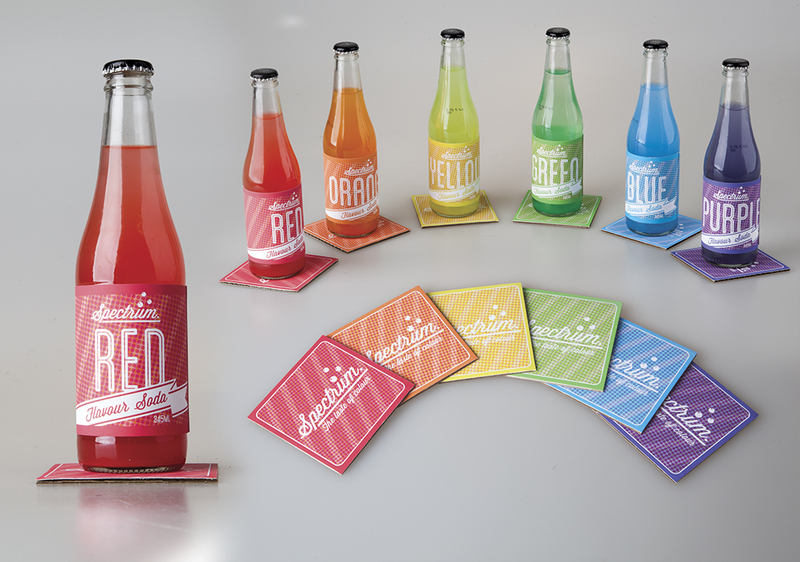 It was based around the idea of people always saying things like “blue is the best flavor” so instead of giving the drinks definable flavours they are just labeled as “blue”, “red” etc. This is a stationary package for my Dungeons and Dragons adventure party. 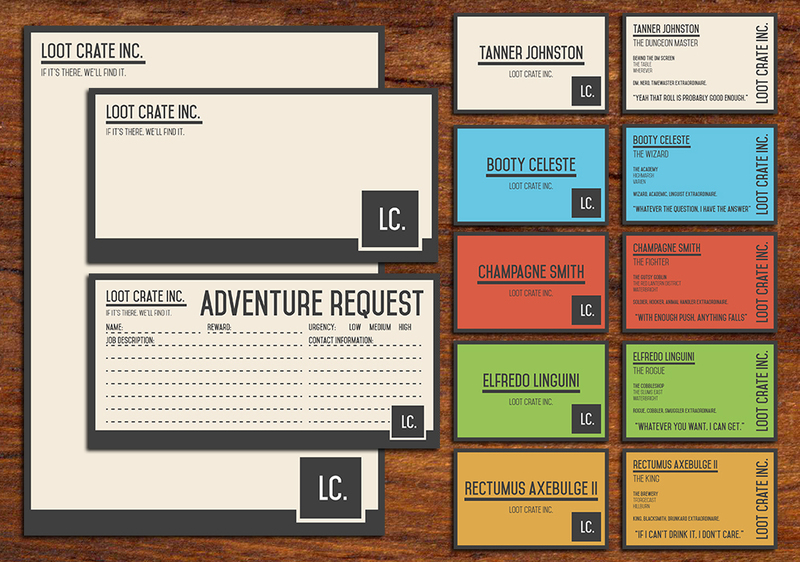 The name of the group is loot crate and each member is given their own personalized business card and there is a standard adventure request form to hire Loot Crate. 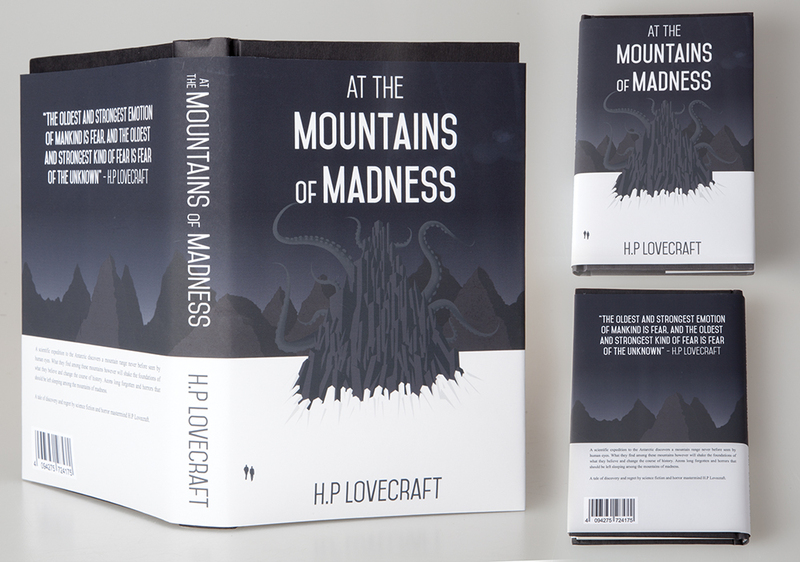 A hypothetical book jacket design for H.P Lovecraft’s At the mountains of madness. The jacket portrays the visuals described in the book and gives the viewer an idea of what to expect when they read the book while still maintain the feel of mystery present in the novella. 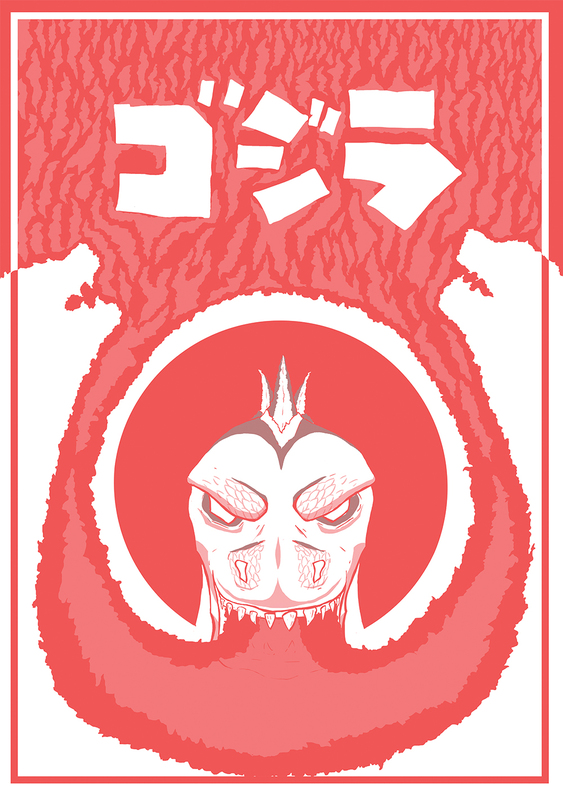 An illustrative poster design for the character Godzilla and a potential hypothetical poster for a theatrical release. The poster’s colour scheme is based on the Japanese flag and the poster as a whole depicts Godzilla breathing his iconic nuclear breath. Negative space was a key element in this design. The opening title screen for an animated video set to Funkstep and audio track by Marin King. Drawing the text created the animation frame by frame in photoshop and editing the files within after effects; the animation as whole is focused on the three colours present in the title animation.